As the euphoric festive season marks its beginning with Ganesh Chaturthi on September 17, it’s the ideal time to make your real estate transactions. Madhyam.com has always privileged in serving its clients and guiding them in realty transactions. In the onset of the beginning festive season, we are further extending our arms to you with the Property Expo and Investors Meet 2015 on September 19th and 20th at Radisson Blu Hotel in Sector 18, Noida. The property expo will begin from 10 am to 7 pm on both days. 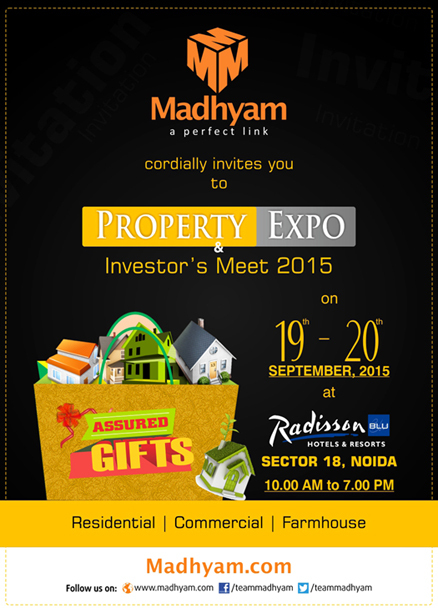 With this property expo, Madhyam.com will introduce you to the most renowned builders of the NCR with their projects. The property expo will be one of its kinds in Noida over the years where you will be exposed to some of the astonishing residential, commercial properties of NCR which are ideal for your investments in the auspicious festive occasion. The property expo will also features exceptional plots and farmhouses. The property expo will be a golden opportunity for the clients as it composes various eye bulging promotional schemes and exclusive offers. One among the exclusive offers at the property expo is that the spot bookings will earn free benefits of home furnishing & electronics. 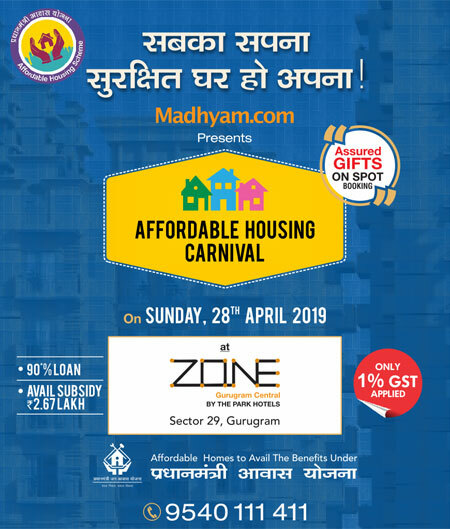 So get ready to link with the renowned builders at Madhyam.com property expo in Radisson Blu, Noida Sector 18, which will also assure you exciting gifts. The Madhyam.com expo also has lucky draw contests and if fortunate enough, the visitors can fill their pockets with handful of gifts!